Their customer care is phenomenal, facility always perfect. The customer service at this facility is perfect, Alvin is who I work with. he goes over the top to make sure all is good. This storage facility is located near us so we like it. It's a bit pricey but that's what we get for convenience. The place is secure, clean, fairly priced. We have had our belongings here for over a year. The staff is responsive and helpful. I wish the gate opened automatically upon exit as it's awkward to have to get out again to punch in the code to open the gate both ways. Company keep raising rent. Long term renters out, new in, for more rent. Alvin and Linda are the only reason I stay at Costa Mesa Storage. They are very kind and helpful and make it easy for Me to come in and pick up My work truck everyday. It is so nice to see their happy faces everyday after a days work! I really appreciate how the staff has gone the extra mile to protect my belongings. One day, when I had put the lock on incorrectly, I came to my unit to find another lock on it. It was immediately removed upon my request, and I was shown that I had not properly secured the unit. I appreciate how the manager, Alvin, really made the effort to get the right unit for my needs. I appreciate the various specials that have made the unit comfortably affordable. All the staff is very friendly and helpful. Having been a customer here for 3+ years, I can say this is the top facility in the area (as on occasion I have compared it to others). The management team, Alvin & Linda, are always friendly & accommodating. The location has easy access to the 73 & 405 fwys. And the restroom is spotless (I actually think it's cleaned with a toothbrush : ). I highly recommend (& have) this facility. I needed a place to put my stuff quickly. This facility fit the bill. They helped me obtain a unit and when I needed a larger one, they let me know immediately when they found one which allowed me to move things without having to haul it all over the facility and I did not need a truck! While the staff has changed over the years and I have moved some distance and there are closer units, I stay here because they worked so hard to accommodate me and my needs. In fact we just talked yesterday when I was introduced to the new employee...and she is as nice as ever. Convenient, clean, and excellent customer service! Convenient, clean, and excellent customer service! The location was perfect for me, but beyond that... the facility is well-managed, and the customer service is exceptional! I like this place . Items are safe and security it's safe ! Also the staff are friendly. The manager Alvin is a great guy and welcomes you ! Thank you very much for all you do! Great Place! Great Customer Service! I have to say, this is one storage facility I will highly recommend! This is the 2nd time I've rented from Costa Mesa Mini Storage and the customer service is above and beyond what I would expect from any storage place, friendly and helpful. That's always nice, especially when it comes to moving day. The units are clean and accessible, it's a quiet area and the people are friendly. Plus, the location is great. It's very close to the freeway and main outlets. Great for moving. 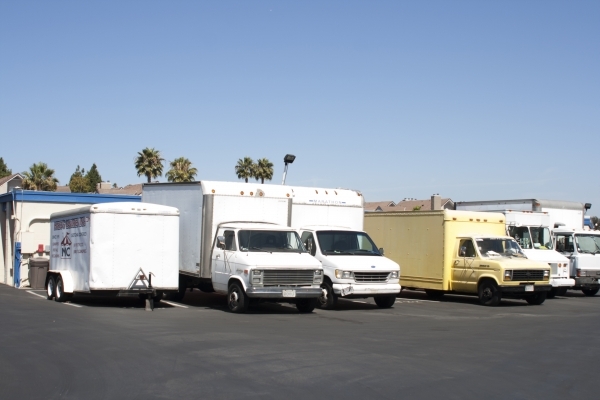 I've had a great experience renting from Costa Mesa Storage. Everyone that works there is extremely helpful. 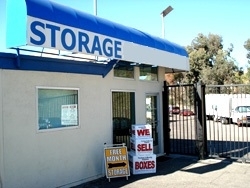 This is one of the best storage facilities, I've ever rented from. I really can't say enough good things about it. The manager has great customer service. He was friendly and helpful. Place is clean and organized. i feel that my items stored are really secured here. Clean facility, secured, and great customer service! what more can you ask! Customer service was up and beyond excellent. Wonderful facility and extremely nice and efficient people. I decided to rent here mostly for the location and the long access hours. The unit it clean but a little cramped. I feel that My truck is safe, the staff is very freindly and helpful. I would not go to any other storage company. 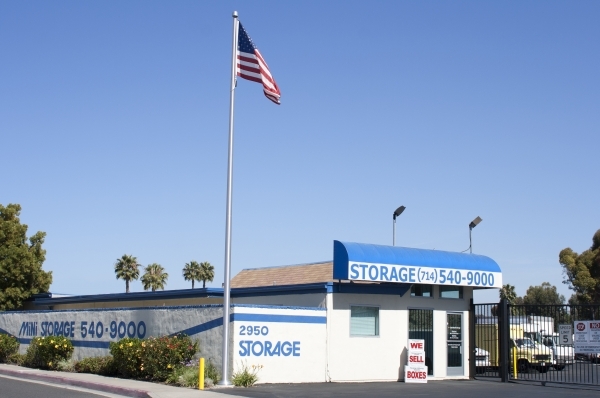 I have checked out all the other storage companies in the area and I found that Costa Mesa Mini Storage was the best in customer service and price. All management is very friendly & extremely helpful! Very clean and friendly management. Alvin, the receptionist is WONDERFUL. It's the price, I don't like. Great price and nice staff make it a win! This is the only place I found with a small, drive-up units. It's perfect for what I needed. It's been 3 years and I couldn't be happier. I'm there a few times a month to add/subtract from my unit and it's always convenient! Alvin is very nice and the check-in experience went smoothly! I worked with a manager named Alvin he was very helpful and quick! I also got a fantastic deal! It's very secure and in a great location. Perfect location for my needs. Alvin was extremely helpful in locating the right storage unit for my particular needs. Also, there is easy access to the facility from the freeway. I have had several storage units in my life time this one many items to this day missing! Thin walls and sliced locks renters BEWARE!!! Storage units are infested with crickets. They were in all of our boxes, beds, etc. Friendly staff! the place was very clean and well maintained!